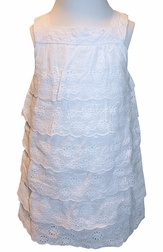 Beautiful white eyelet multi tier ruffle dress by Cotton Kids. 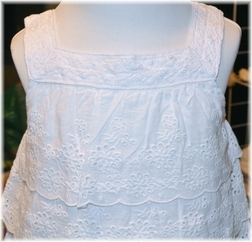 Fabric is a lovely cotton hand made and stitched by Indian artisans. 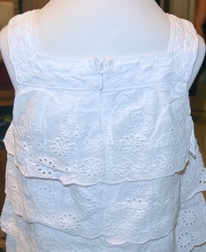 Perfect for beach outings and portraits.